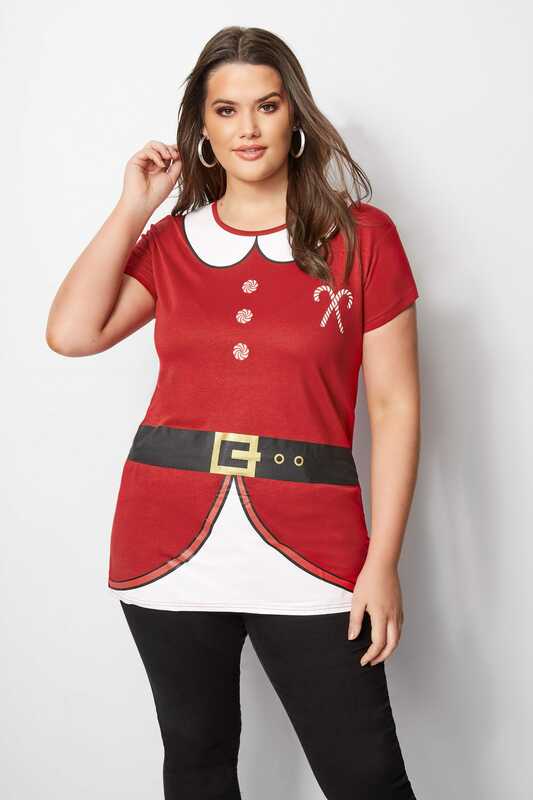 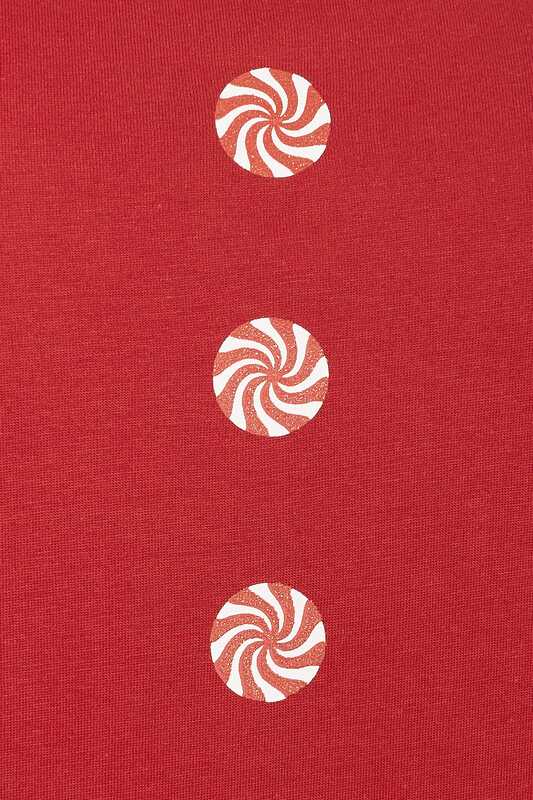 Add fun novelty prints to your t-shirt collection with this Santa Claus top. 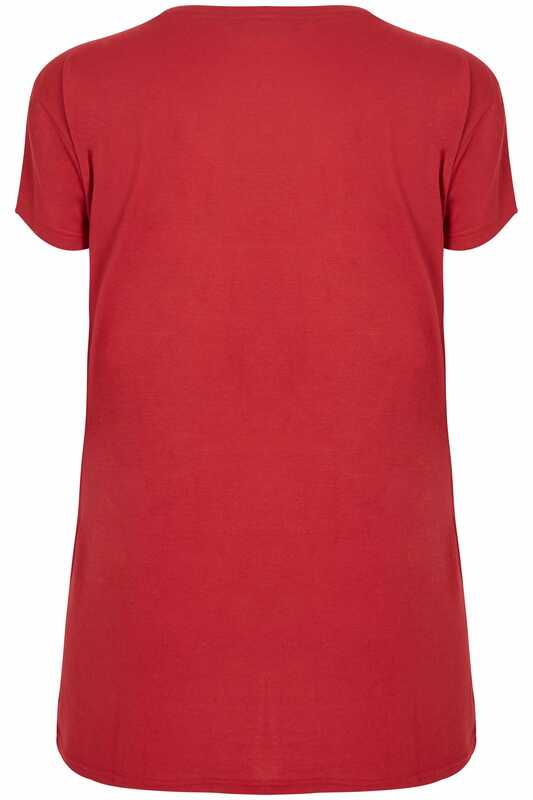 Comfortable and lightweight, it features a simple scooped neckline and a classic short sleeved design. 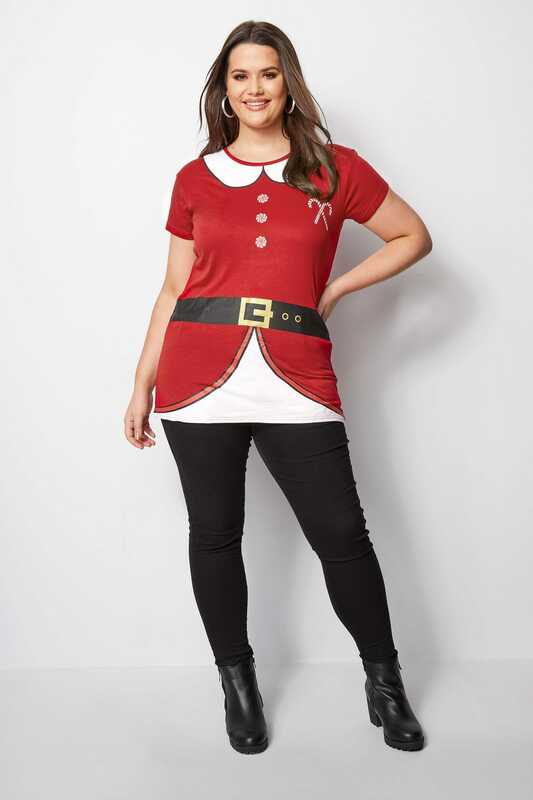 Ideal for wearing with your pyjama bottoms on Christmas morning, or even with your favourite jeans and flats to a festive party. 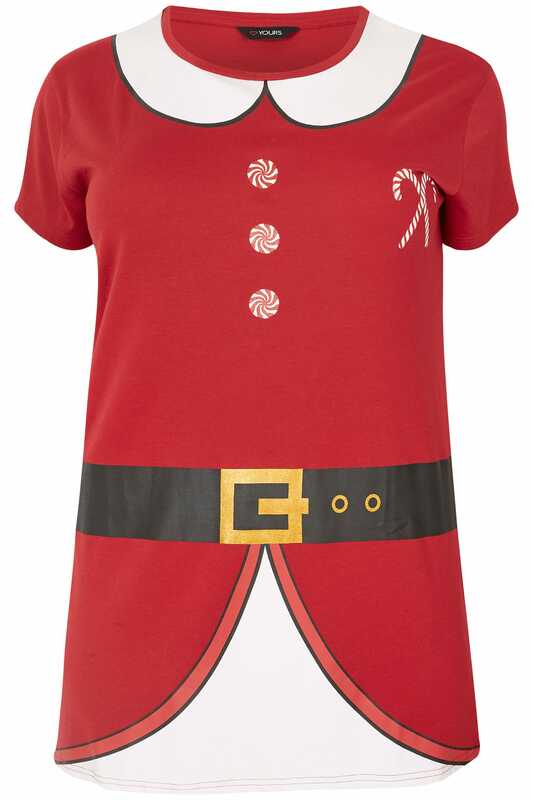 Everyone needs a novelty Christmas tee.